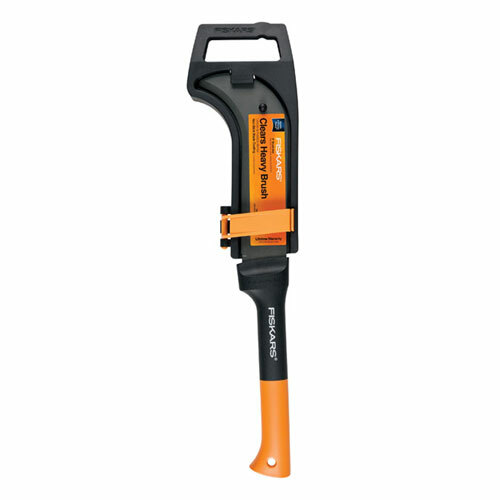 Clear brush quickly with a tool featuring a curved blade for pull-cutting and a heavy-duty sheath for safety. 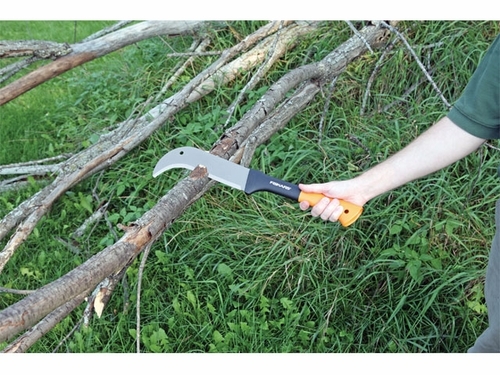 A great choice for the outdoor enthusiast who has a lot of clearing to do, this brush axe features a precision-ground 9" steel blade with a rust-resistant, low-friction coating to rip through underbrush and wood with speed and ease. The tough DuraFrame handle is lightweight for easy handling and multiplied swing speed, yet strong and durable for lasting value. The insert-molded design means the blade won’t loosen or separate from the handle. Includes a safety sheath for convenient storage and transportation.